We go behind the scenes with chef Brandon Olsen as he hand-paints one of his signature desserts. Imagine a splatter-painted chocolate egg being smashed like a plated piñata, erupting fruit, candy and truffles. This "Ziggy Stardust disco egg" is a reality, and it's the brainchild of Toronto-based chef and chocolatier Brandon Olsen. Since 2016, he's been delighting diners with his imaginative hand-painted disco eggs. This is one hell of a salad, but can you call it art? 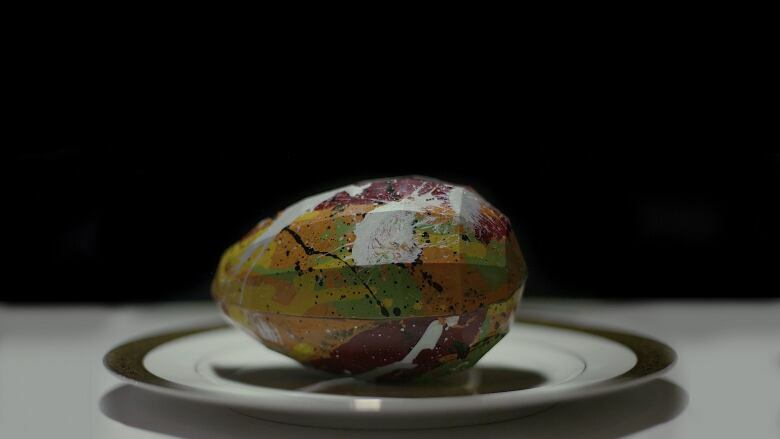 In this video, we go behind the scenes of Olsen's restaurant La Banane and his chocolate shop CXBO (both of which he helms with his partner artist/filmmaker Sarah Keenlyside) to get an inside look at the painstaking process of hand-painting chocolate eggs. Willy Wonka would approve! Watch CBC Arts: Exhibitionists online or on CBC Television. Tune in Friday nights at 12:30am (1am NT) and Sundays at 3:30pm (4pm NT). 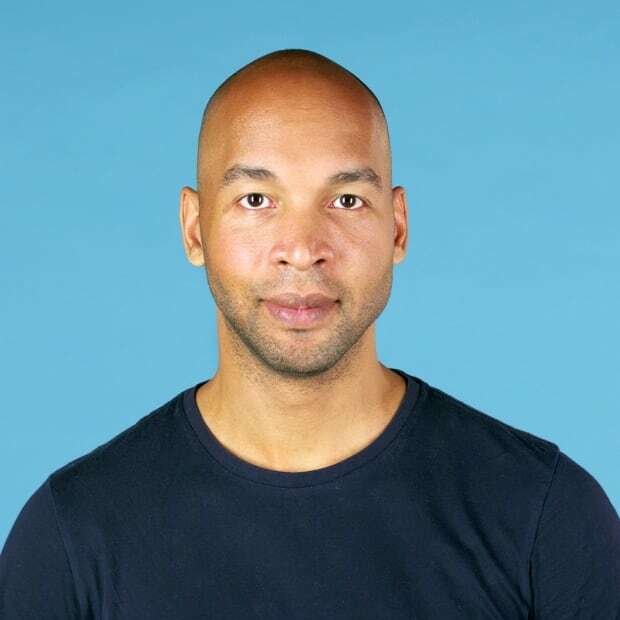 Lucius Dechausay is a video producer at CBC Arts, as well as a freelance illustrator and filmmaker. His short films and animations have been screened at a number of festivals including The Toronto International Film Festival and Hot Docs. Most recently he directed KETTLE, which is currently streaming at CBC Short Docs.